Sometimes, a high NFL Draft pick by a team doesn’t pan out as well as the team hoped. 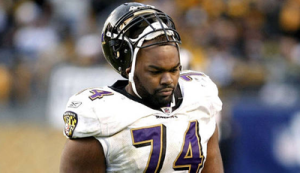 In some cases, the player became lazy once given a multi-million dollar contract, other times, deficiencies in his game were exposed on the NFL level and he was unable to adjust. Listed below are the worst of the bunch, the word draft picks since the year 2000 based on where they were selected in the draft. Today, Russell is arguably the biggest bust in NFL history. 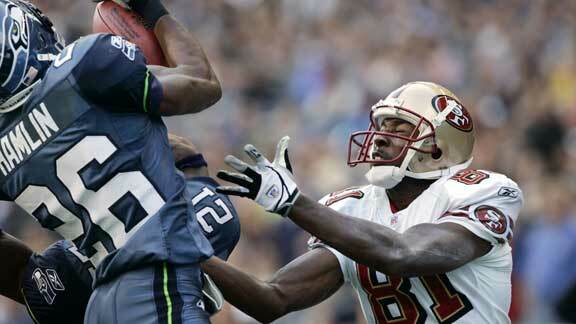 He held out until after Week 1 of the 2007 NFL season before inking a six-year $68 million contract. His late showing to the league meant he missed all of training camp and played catch up immediately. He would also show up to training camp each season overweight and played poorly on the field for a struggling Raiders team. After three seasons, he was cut by Oakland. He was never signed by another team. For the most part, players taken second overall have had successful NFL careers. Even Robert Gallery, a runner-up on this list, played nine seasons and found success as a guard. Rogers, however, never found success at the NFL level. At Michigan State, Rogers was a unanimous All-American wide receiver and was hyped as the next Randy Moss. Detroit needed an offensive weapon in the post-Barry Sanders era and selected Rogers second overall. Rogers played well as a rookie, catching 22 passes for 243 yards and a trio of touchdowns in five games, but in practice, he broke his collarbone and his season was ended prematurely. In the first game of the following season, he broke his collarbone again and missed the remainder of the season. It wasn’t just the injuries that kept him off the field. 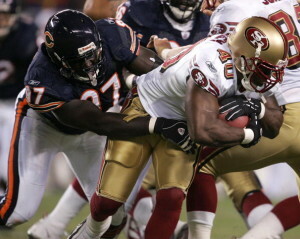 Rogers missed the first four games of the 2005 season for failing the league’s substance abuse policy, his third failed test. Despite finally being healthy, the Lions opted to deactivate him for the final four games of the season. He was released after the year due to a perceived lack of work ethic by new head coach Rod Marinelli. In future tryouts, it was discovered that he had recorded 40-yard dash times of 4.8 seconds, much slower than the 4.4 seconds he displayed in the dash at the NFL Combine. 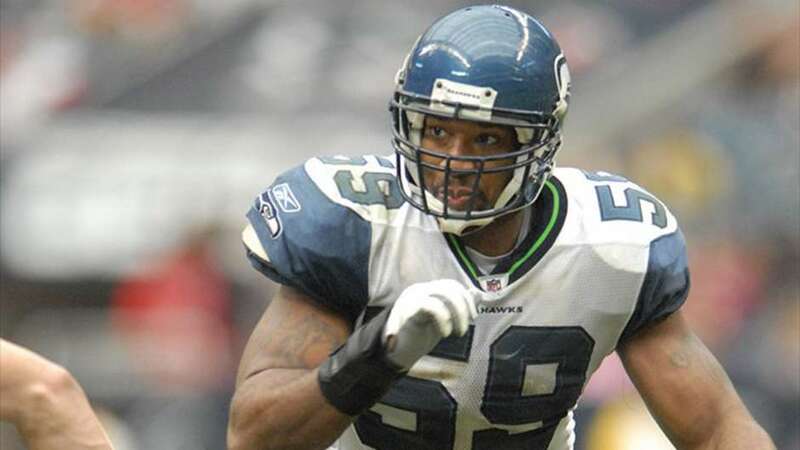 Harrington played for four teams in his NFL career and saw time as a starter with each team except New Orleans, where he remained on the roster for five days. Each team he started for tanked, though it is not entirely his fault. 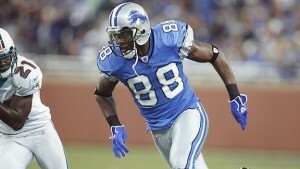 After his rookie season, the Lions held the second overall pick in the draft. His one-year stint in Miami resulted in them selecting first overall in 2007. 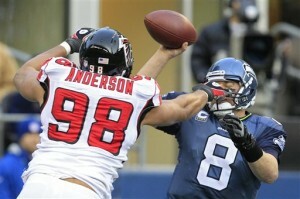 The Falcons would go on to pick third overall in 2008. 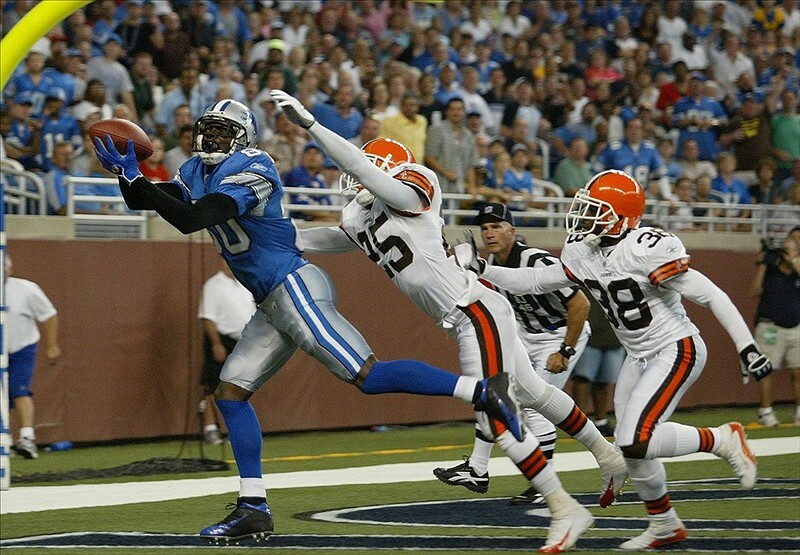 The Lions front office was in disarray during the early 2000s. Harrington also did not get along with head coach Steve Mariucci, who was hired after Harrington was drafted. Additionally, Harrington played behind a poor offensive line in Detroit and had a lack of offensive talent around him, despite numerous efforts by the Lions to add weapons to the offense. Curry was considered the safest pick of the 2009 NFL Draft and was even in contention for the top overall selection. He proved many experts wrong in his NFL career. After failing to adjust to the speed and playing style of the NFL, Curry tried to make up for it with his athleticism, which also backfired. Seattle traded Curry to Oakland in the middle of the 2011 season. After Curry failed to make the Giants roster in 2013, he retired from football. This really was a toss up between Blackmon and Brown, but the edge goes to Blackmon, who is currently suspended indefinitely for repeatedly violating the league’s substance abuse policy. 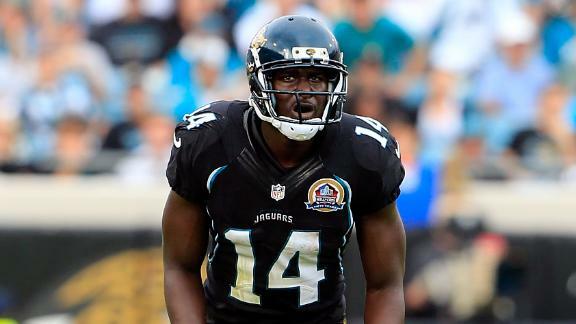 Blackmon was perceived as the next Terrell Owens and Jacksonville traded up with Tampa Bay to select him. In his rookie season, Blackmon torched the Houston Texans, catching seven passes for 236 yards, the third-most by a rookie in NFL history. Legal issues, however, continued to plague Blackmon. He was arrested for driving under the influence just over a month after he was drafted. 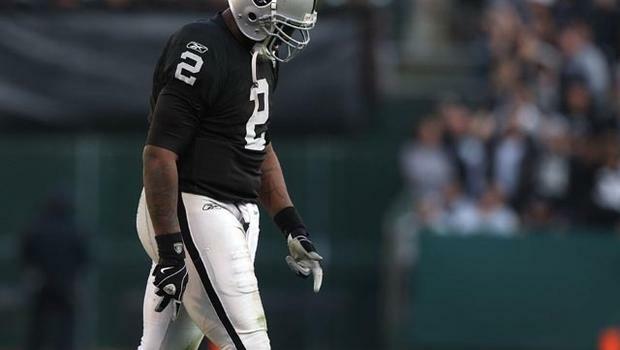 In 2013, he was suspended for the first four games of the season for violating the league’s substance abuse policy. Later in the year, the league suspended him indefinitely for violating the substance abuse policy again. He has not returned to the field since. The number zero will forever be attached to Gholston, the pass rusher from Ohio State who was drafted to be the guy who could disrupt Tom Brady. 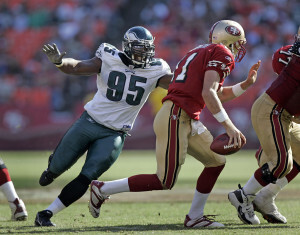 Instead, Gholston failed to even collect a sack in his short NFL career. After three seasons, the Jets kicked him to the curb. He has not been able to find a spot on a new team since, being cut by the Bears and Rams in the preseason in following years. Williamson was just an abysmal NFL player. 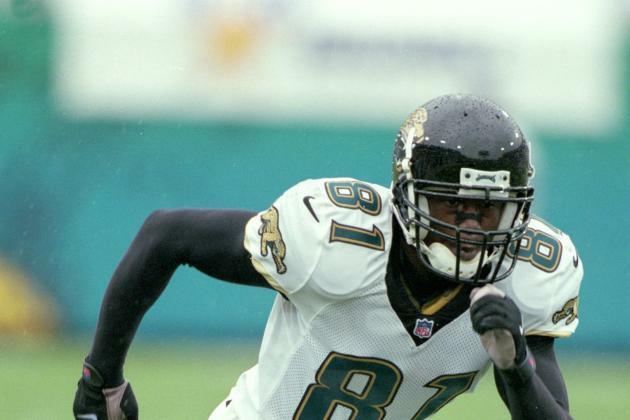 He played five seasons overall with Minnesota in Jacksonville, never caught more than 37 passes in a season and had just four touchdowns. 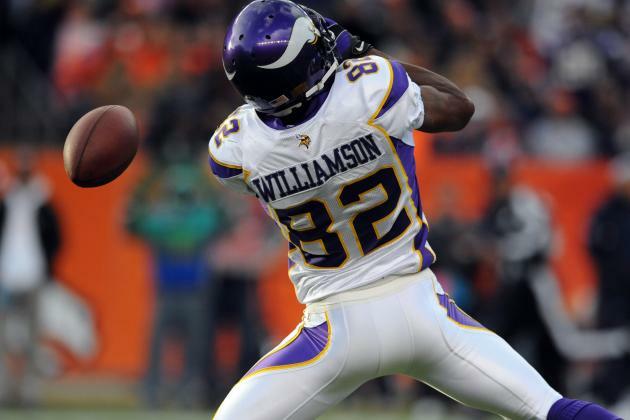 The Vikings took Williamson as a replacement for Randy Moss, who they traded to Oakland. 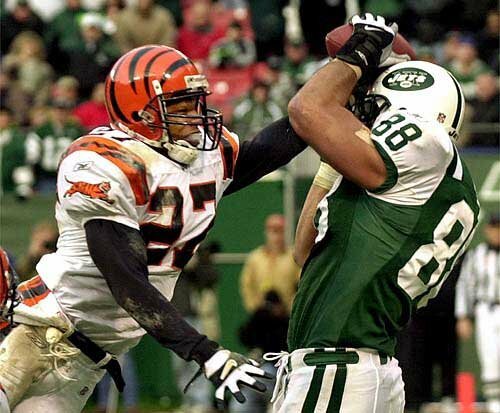 As a rookie, Williamson dropped 11 passes, the second worst in the league, which he blamed on poor depth perception. When the Vikings traded Williamson to Jacksonville, he took is personally and publicly stated that he wanted to “duke it out” with former Vikings head coach Brad Childress at the 50-yard line. Easily the hardest selection to make here because all three players were awful. Jake Locker was also in consideration as a runner up spot. The Falcons drafted a familiar name in Jamaal Anderson in 2007, but he couldn’t live up to the name in Atlanta, never registering more than 3.0 sacks in a season. 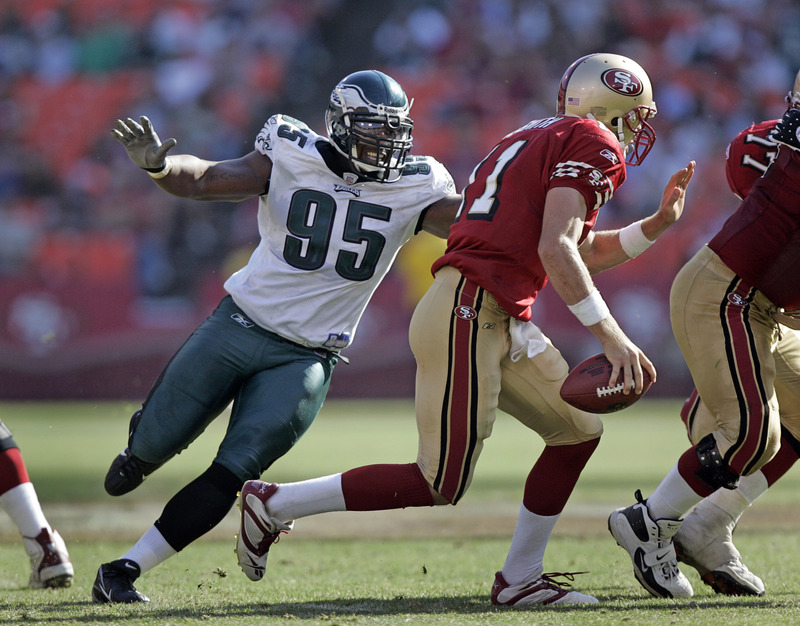 For his career, the pass rusher only accumulated 7.5 sacks. Very rarely does this happen in the NFL, but Milliner has been so bad over the past two seasons that the Jets brought back Darrelle Revis, the man Milliner was drafted to replace. Additionally, the Jets brought back Antonio Cromarte and signed Buster Skrinne. 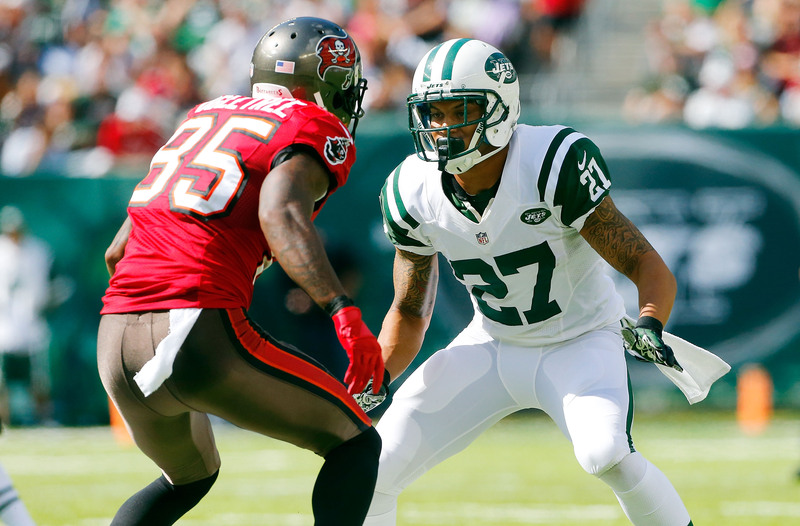 Milliner’s playing time has decreased significantly this season. Despite missing the entire 2004 season at USC after trying to fight the NFL in the courtroom to be drafted early, the Lions still took Williams’ 10th overall. 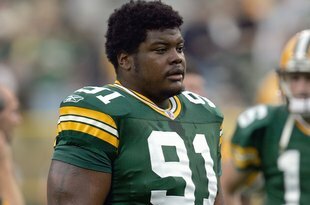 Williams struggled after missing a season and was traded to Oakland. 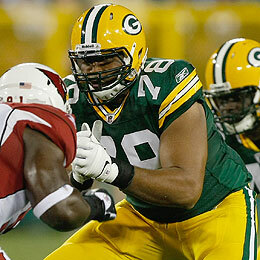 Tennessee signed him during the 2007 season but released him after his weight reportedly ballooned to 250 pounds. 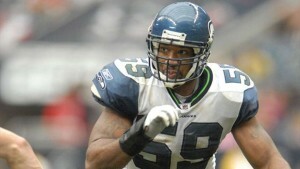 Williams was out of football for two years before temporarily revitalizing his career with the Seahawks, led by his former head coach at USC, Pete Carroll. His re-emergence, however would be short lived as he again struggled in 2011 before the team released him. 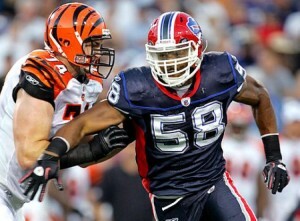 Maybin lasted just two seasons in Buffalo, where he failed to record a sack. 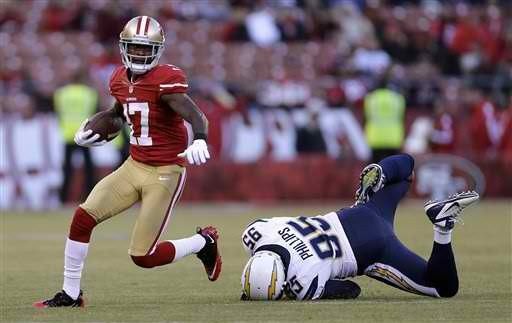 Despite playing all 16 games as a rookie, he only mustered 18 tackles. In 2011, he latched on with the Jets and recorded his first career sack in his first game with New York and even got some payback and a Bills team that may have pulled the plug on him a little too quickly that season by recording his first multi-sack game against his former team. 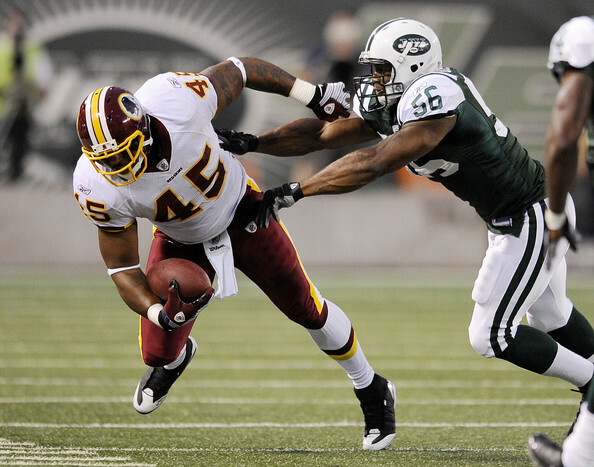 He finished 2011 as the Jets leader in sacks with 6.0. He would never record another sack afterwards and officially retired from football in 2014. 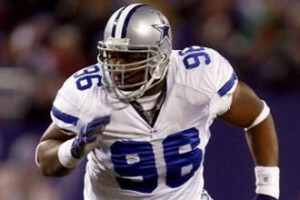 Between 2001-03, three defensive tackles were selected with the 12th overall pick of the NFL Draft and none of them panned out, but none were as bad as Bryant. He was a liability on defense, often missing tackles. 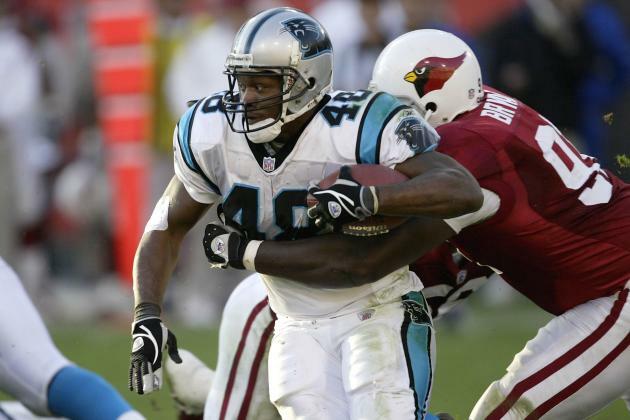 His tenure in the NFL was short, after violating the NFL’s substance abuse policy, he was suspended indefinitely in 2005 and never returned to football. Carricker played just two seasons for the Rams before missing all of 2009 with a knee injury. He was traded to Washington in 2010 with a chance to revitalize his career after he felt he was mismanaged by St. Louis. With Washington, he played well in a new defensive scheme, but then injuries began to take their toll on him, forcing the Redskins to release him in 2014. 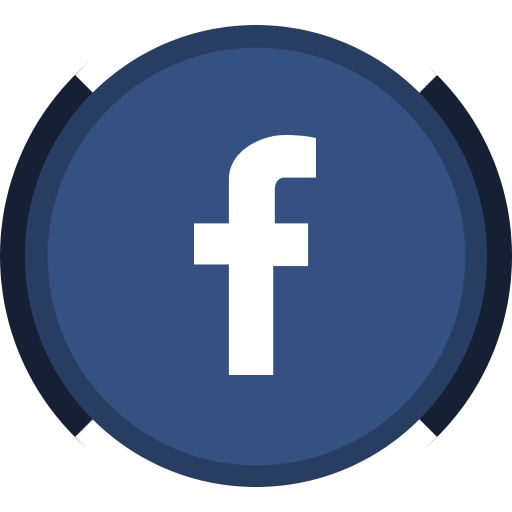 Carricker recently participated in the NFL’s first ever Veteran Combine. 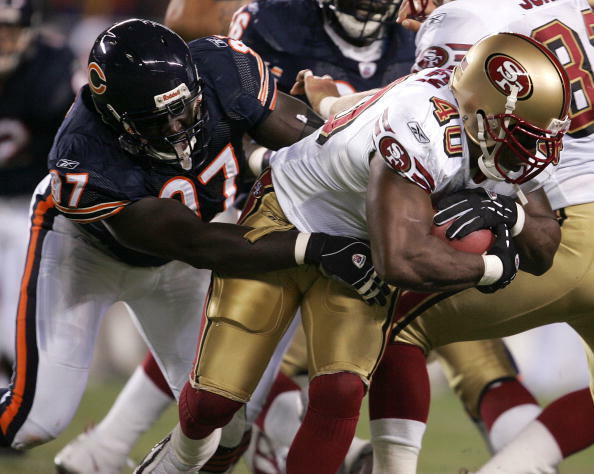 Haynes was so bad that in 2010, Deadspin ranked him the 16th worst NFL player of all time. In just three seasons in the Windy City, Haynes only tallied 5.5 sacks and 48 tackles. 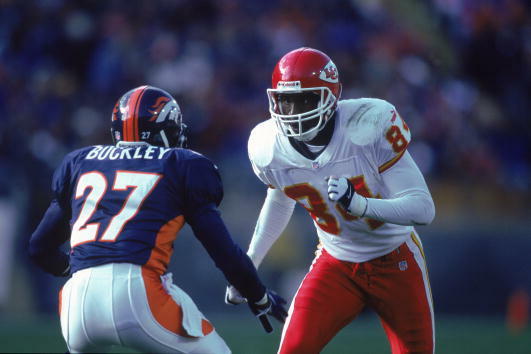 McDougle’s NFL was subpar for multiple reasons. Injuries plagued him in his first two seasons. 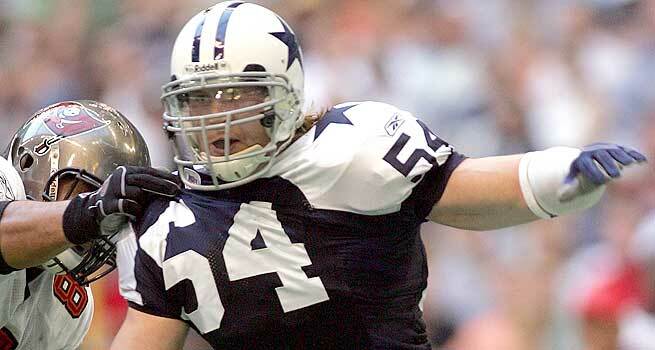 Just four days before training camp began in 2005, McDougle was shot in the abdomen. Initially expected to make a full recovery, McDougle suffered a setback that forced him to miss the entire 2005 season. When McDougle was on the field, however, he also showed he was a bit of a hothead. 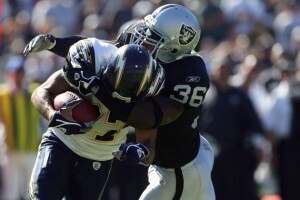 In a game against the Buccaneers, McDougle was flagged with a facemask after sacking quarterback Bruce Gradkowski. Unhappy with the penalty, McDougle kicked the referees flag, resulting in another 15-yard penalty. Unhealthy and always out of shape, Harrell played just 14 games in four NFL seasons, which edges him over Green. Harrell notched just 28 tackles and never recorded a sack. Pollack’s career took a nosedive early in his sophomore season when he broke a bone in his neck while making a tackle. Though he was expected to make a full recovery, he opted instead to retire. Pollack found a new career after football as a sports broadcaster. After four seasons in Dallas, the Cowboys traded Carpenter to the Rams for Alex Barron, another failed first round draft pick. 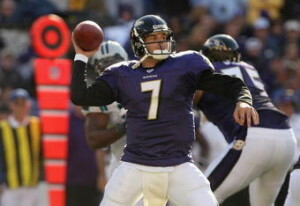 With one of the best defenses in the league, the Ravens drafted Boller in 2003 in hopes of bringing the Super Bowl back to Baltimore. Instead, Boller flopped for three seasons before Brian Billick brought in former Titans quarterback Steve McNair to take over. 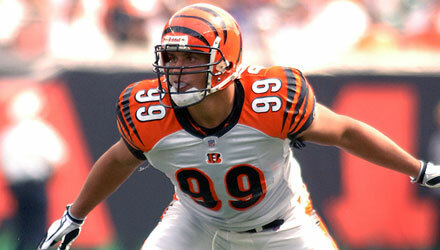 Spears somehow lasted nine years in the NFL despite posting just 10 sacks. Head coach Bill Parcells targeted Spears as a key player as the team transitioned to a 3-4 defense, but was initially overrulled by owner Jerry Jones, who wanted to draft DeMarcus Ware with the team’s 11th overall draft pick. Parcells got his wish when Dallas traded up with the Bills to select Spears. Ware, on the other hand, turned into an All-Pro defensive end and was a focus for opposing offenses every week. Spears struggled with knee problems early in his career, but never turned into the elite pass rusher Parsells had hoped for. Morris never seemed to be healthy on the NFL level. First, his knees became an issue, then his hip. After the Chiefs waived him, he tried out for the Bucs and wound up tearing his ACL in the process. In the end, Morris only played 15 games and caught 48 passes. In a 2013 game against the Lions, Weeden attempted to avoid a sack by making a backhanded throw, which resulted in an easy interception. Weeden was 28 when he was drafted, a time when most athletes are in the primes of their careers and was still nowhere near the best quarterback in college football where players are six years his junior. 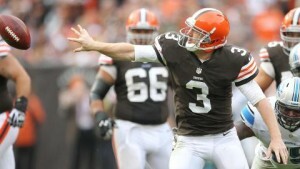 If Johnny Manziel busts, the Browns could have the trifecta at this spot. Despite being a turnstile of an offensive tackle, Oher is still finding work in the NFL and is a left tackle for the Panthers (good luck with that). Oher’s rise to fame has a lot to do with the film “The Blind Side” which is about his upbringing. Werner has been a flop for the Colts since day one. Part of it has been blamed on injuries while his lack of experience has also played a factor. 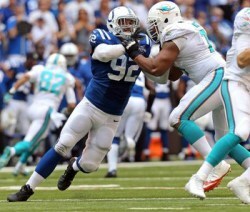 The Colts deactivated Werner for the AFC Championship Game last season. Mitchell was famous for running his mouth off the field and not producing on it. 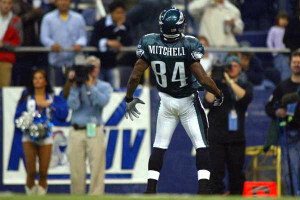 Even New England Patriots head coach Bill Belichick spoke up about Mitchell after the Patriots Super Bowl win over the Eagles in 2005. “All he does is talk. He’s terrible, and you can print that. I was happy when he was in the game,” Belichick said. To make matters worse, the wide receiver picked after Mitchell was Reggie Wayne, who will likely make the Hall of Fame when he retires. Not all memories of Mitchell are bad, however, he was on the receiving end of 4th and 26, one of the Eagles most famous playoff moments. New York Giants fans are hoping that their recently drafted offensive tackle with a similar name is not as bad as Erik Flowers. 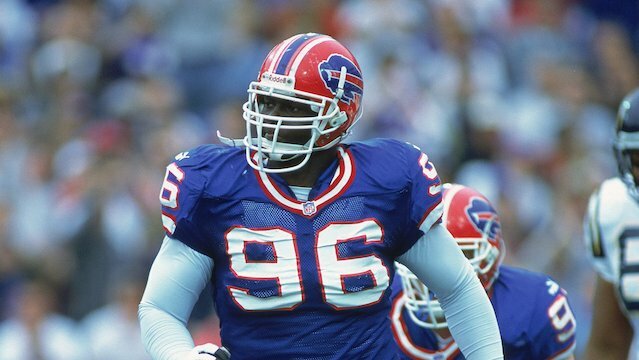 Drafted as Bruce Smith’s replacement, instead, he lasted two seasons in Buffalo before going to Houston. One of the most talented groups of players for a draft position, none of these three guys were exactly bad players. Becht played 12 NFL seasons, but as his career progressed, he was used less as a receiver with teams instead opting to make him their blocking tight end. To add insult to injury, three of the four players drafted after Gibson were Todd Heap, Reggie Wayne and Drew Brees. Gibson couldn’t cover opposing wide receivers on the NFL and accumulated 14 defended passes and a trio of picks before the Raiders declined a $10 million option on him in 2006. He was not signed elsewhere. Soward lasted just one season in the NFL before washing out due to alcoholism. He didn’t handle the pressure of being a first round draft pick well and head coach Tom Coughlin had to send a limousine to pick him up daily just to make sure he made it to practice. Soward caught just 14 passes for 108 yards in his lone season. Jenkins was basically a wasted pick for the 49ers. He was only activated for three games in his rookie season despite being healthy. He was dealt to the Chiefs the following year for Jon Baldwin, another disappointing receiver. After being cut last Feburary, he latched on with the Cowboys. Woods was only active in his rookie season, where he caught seven passes for 160 yards and a touchdown. He was placed on injured reserve in his second season after tearing ligaments in his thumb and bounced around the league, never making it out of another team’s training camp. Injuries took their toll on Sherrod. He broke his leg late in his rookie season and then missed all of 2012 recovering, He was not activated until late in 2013 and was cut one year later. Sherrod has only appeared in 20 games and has made one start.